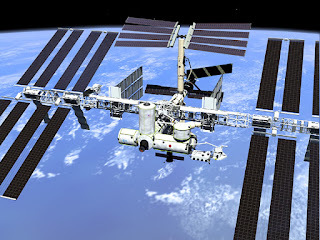 The International Space Station (ISS) is a habitable, artificial satellite in low Earth orbit that serves as a research laboratory with a microgravity environment in which crews conduct experiments in many fields including biology, human biology, physics, astronomy and meteorology. 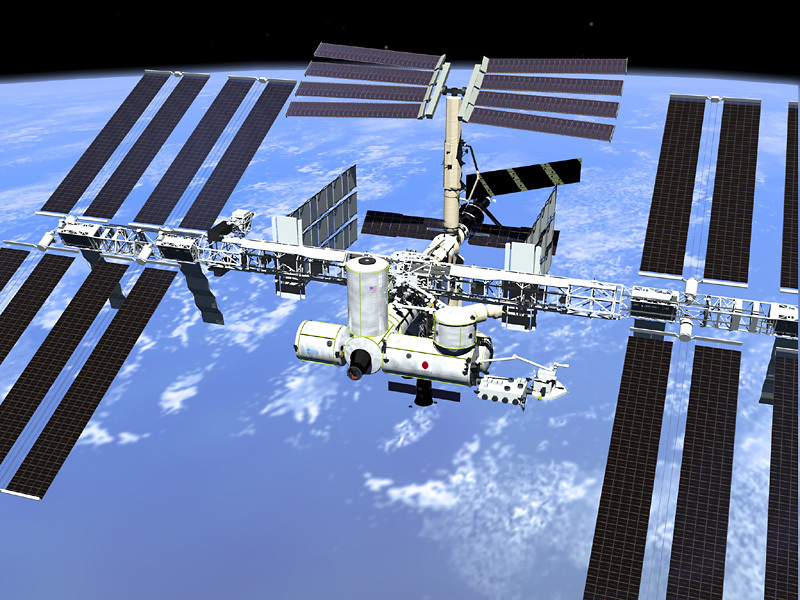 The ISS is a joint project between the five participating space agencies, the American NASA, the Russian RKA, the Japanese JAXA, the European ESA, and the Canadian CSA. 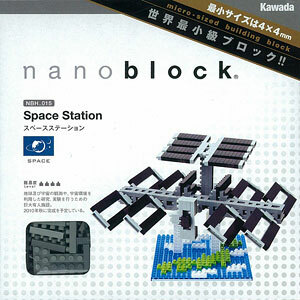 The nanoblock Space Station set is a scaled replica of the ISS that comes in a small box packaging, with over 570+ pieces of building blocks, and a sheet of instruction paper to show you how to build it. The blocks and instruction paper. This is a "Level 4" nanoblock set, so it should moderately difficult to put together. For this set however, it was not really difficult, but rather, just a little tedious assembling the small pieces to form all the pieces of solar panels. It took me around 45 minutes to put it all together. Here are some pics of the build process. And here is the fully assembled Space Station. It is about 15cm long from side to side. The solar panels along the main core structure can be rotated. As you can see, it looks a lot like the real International Space Station. The nanoblock Space Station set retails at RM79.90, and you can get them from Toys R Us, Action City, Kinokuniya, Popular Bookshop and XL Shop in Malaysia now. You can also find it in my Amazon.com store.